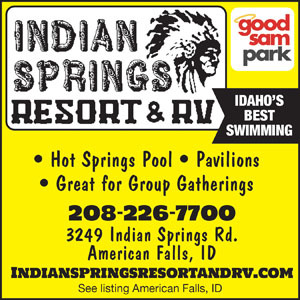 Indian Springs, American Falls, ID. The staff was friendly and the site was level with nice trees, but that is about as far as I can go with positive comments. Organization/management was an issue. When we checked in, the clerk was also a lifeguard and just sold ice cream to a family. She really did not know how to check us in. We had to ask for a map. 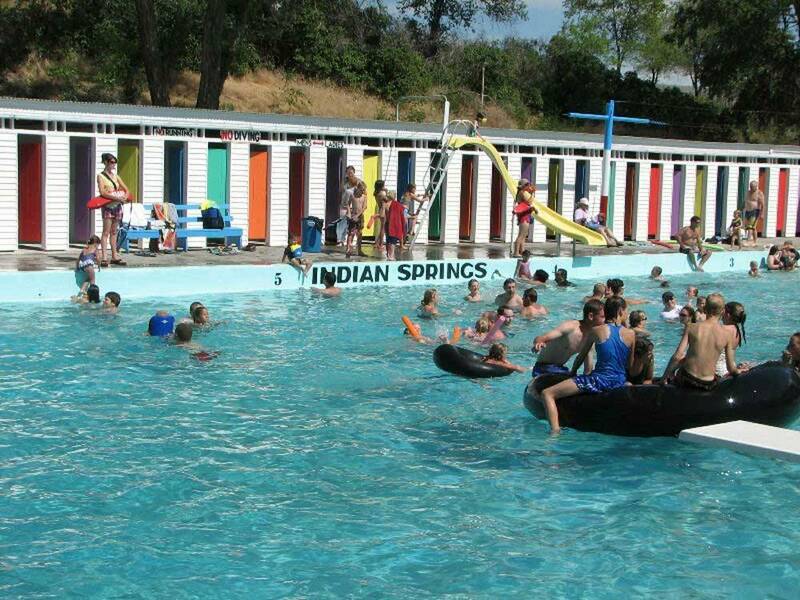 No rules or policies were shared with us or we would have known the pool was an extra $28 for our family of four. The site was a 50 amp and we needed 30 - they were friendly and loaned us a converter. When we showed up to swim, bedecked in swimsuits and suntan lotion, we found out about the extra charge. We decided to shower and go to town for a dinner treat when we found out we were never told the shower door code. Upon entering the showers we were dismayed with the conditions. The corridor outside the showers as well as the showers themselves were very dirty. My daughter noted large hair balls in her shower with accumulated bugs and dirt. The door to my shower had no lock but did have a rope tied to the electric conduit so you could "lock" the door. In the shower there was no control over the water. You had one knob for hot only. My water cycled from very hot to tepid at best. Not a great stop, I would hope there are better in the area.